... and here is the offender who loves to eat males of the similar sounding genus Photinus (see above). Photuris females attract their victims by faking the flash patterns of females of the other genus. 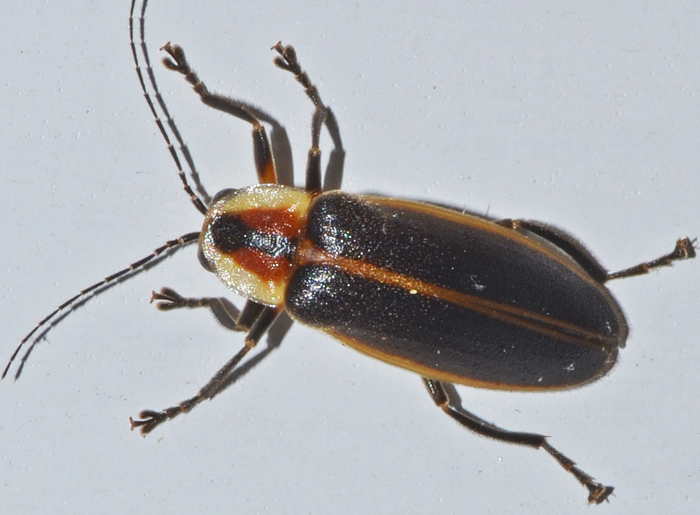 The PNAS article (second link) calls them "femmes fatales" and reports that "they also acquire defensive steroidal pyrones called lucibufagins, which are contained in Photinus but which Photuris fireflies are unable to produce on their own. Photuris females that eat Photinus males or lucibufagin are rejected by Phidippus jumping spiders. Lucibufagin itself proved to be a deterrent to such spiders."